It's that time in the season to cast my eyes over the pieces in my wardrobe that have been my favourites. In doing this I hope to make some sensible purchases in January to make the most of what I've already got. I've been culling throughout A/W 2015, so I'm also going to share the purchases that didn't quite work out and that have already been returned, consigned or re-homed! First up is a recent purchases, I only wish I had found this a lot earlier in the season as it may well have resulted in a few less purchases overall for A/W 2015. This is Zara coatigan is an item I could easily wear everyday as it goes with everything from boyfriend jeans and trainers, to being worn over a dress with tights and boots. The fact that it is navy and black means it's opened up a lot of new outfit opportunities for me as I've never really been one for mixing these 2 colours! I know I will be wearing it loads in the coming months. Over the last year I've fallen in love with skirts, this all started with a Jack Wills denim skirt picked up in February, but my Zara pleather a-line skirt has been a total wardrobe saviour ever since I purchased it in August. 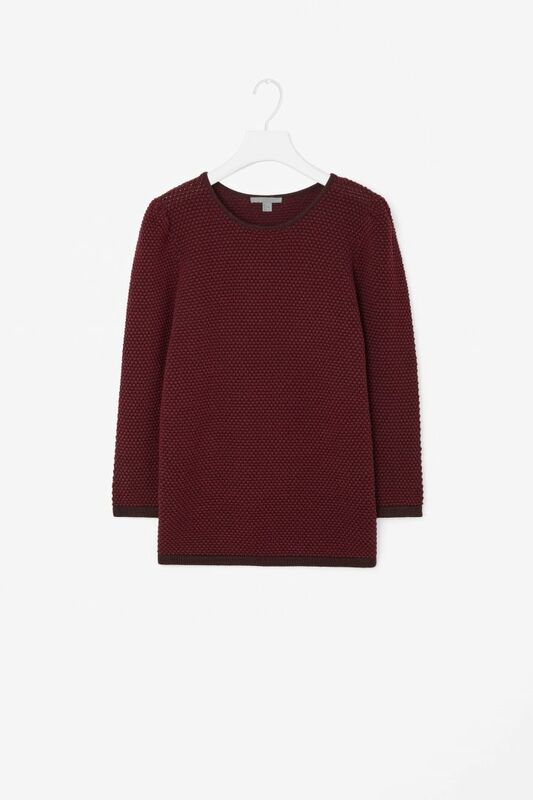 My wardrobe is crying out for some colour and as this COS sweater is such a great shape and style for dressing up or down this absolutely deserves a mention on my favourites list! A classic for years to come. Success on the dress front came in the shape of this Dorothy Perkins number. 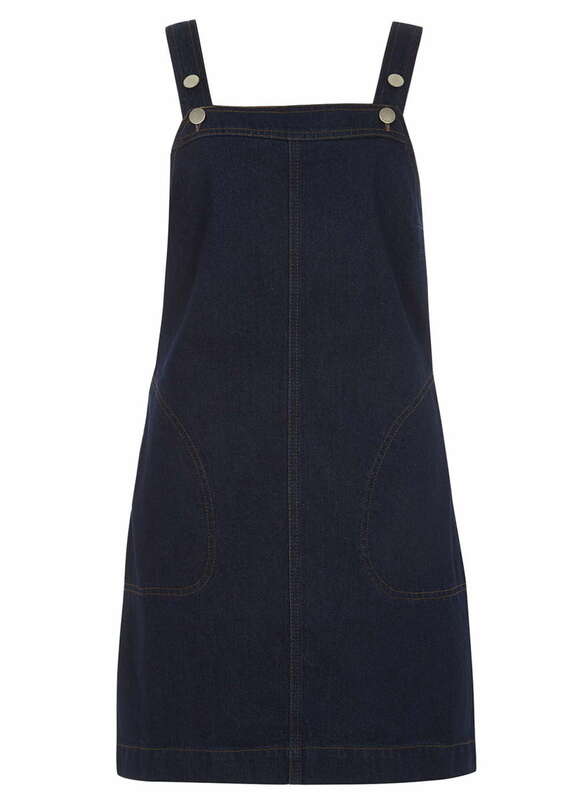 I have worn this so much....again great with trainers, flats and boots! I'm a trainer girl at heart and can normally be found in my Converse or Nike Blazers. 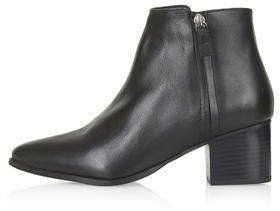 However the footwear wonder for me recently has been my Topshop Bardot boots.....I have worn them so much that I've already bought a replacement. These have been brilliant purchase, no doubt about it! Here's where I confess to a couple of *mistakes* I've made. 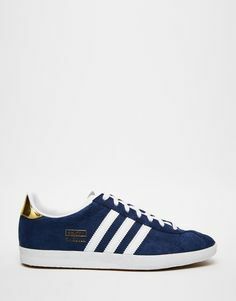 As I've just mentioned above, I do love my trainers and so I plumped for some navy suede Gazelles. However, I now know I'm not the only person to have had this problem......they really pinched my toes so they have been dispatched to my sister. Next up is this fabulous H&M dress, I fell hook, line and sinker for this, but it hung in my wardrobe for 3 weeks, I then packed it to take it on holiday before realising I would never get the wear out of it so I returned it. Last but not least was a holiday purchase, when I went a bit crazy because of the exchange rate. I am still working on the one in, one out basis clothes-wise and so when I bought the Zara coatigan at the top of the page I felt I had to part with this Pull & Bear cardigan so it was promptly eBayed. This has been a great exercise for me. Reviewing my best bits has meant I haven't gone too wild in the sales and will hopefully help me think more carefully about what I buy this month. I definitely want to try and shop my wardrobe for all it's worth over the coming weeks. Looking back it would seem that Zara has been my go-to store this season, closely followed by Topshop. Other stores I buy from regularly are H&M, Pull & Bear, Mango and ASOS. My latest discovery has been Urban Outfitters and I think there are likely to be a few 2016 purchases made from there. You can see what I have purchased throughout the season here. Recording what I've bought on a Pinterest board has been good exercise in flagging up the things I haven't been getting the wear out, so armed with this information I will be doing my best to make sure these items get an airing over the coming weeks. Have you done a season review? Do you know where you tend to make your purchases? Have you any new clothing resolutions for 2016? I'm all ears! Love that faux leather Zara skirt! Can I ask how the sizing comes up? Quite fancy the burgundy one. I need to do a review and cull too - I can barely close the doors to my wardrobe which is telling me something! Thank you Rachel! I am normally a size 10 in a skirt or jeans and I have the medium in the Zara skirt. It does swing around a bit but it was more comfortable than the small on me. I've got into some good habits which means I'm constantly weeding out the things out of my wardrobe which I no longer feel the love for....so once you start I bet there will be no stopping you! Happy New Year Michelle! It's a great time to start culling your wardrobe...which of course means lots of room for the newbies!! 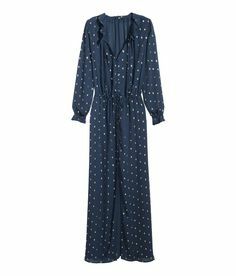 Love the Zara coatigan, I can see you really getting loads of wear out of it, especially as our summers often dont start till about June! !P.s love the UO boots too! Some great items here, I really like seeing the burgundy colours on you amongst the black and grey. That fluffy scarf is fabulous! I've not done a year review, I do a budget post each month though so it would be very easy to go back and see what I purchased, what I wore loads and what was let's face it, uneccessary! Thanks Lou! I am in love with the berry shade....I'm not great with colour but that shade has been great to lift a lot of the black and grey that inhabit my wardrobe! How fab is the scarf? !